This colorway was inspired by Senator Elizabeth Warren. $10 from the sale of each skein will go to the Southern Poverty Law Center, www.splcenter.org, to aid in fighting hate and bigotry and to seeking justice. 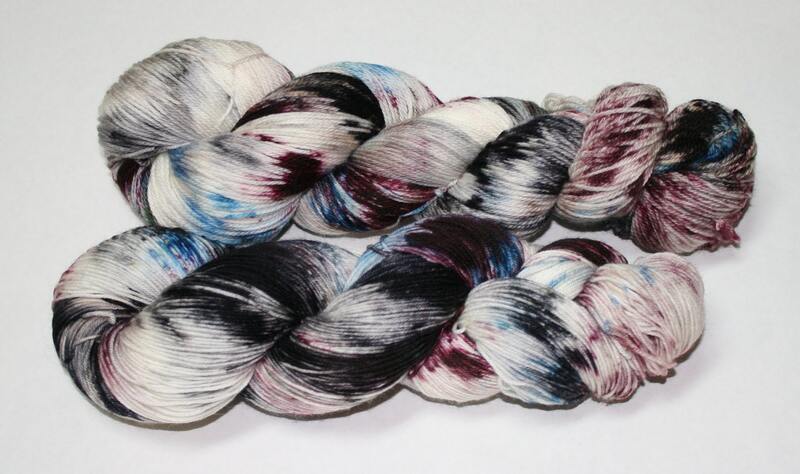 This hand dyed yarn has splashes of blue, black, dark mauve.